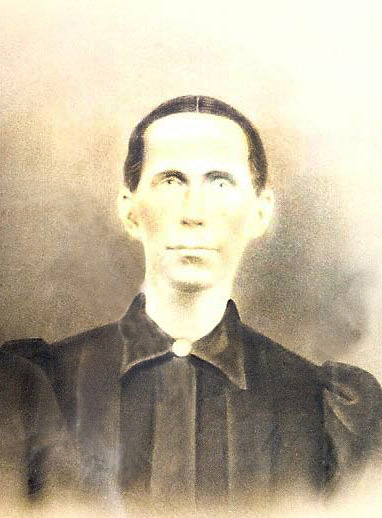 Melvina Eliza Phillips was born on August 27, 1848 in an unknown place and died on August 9, 1911 somewhere in Alabama. She lived to be 62 years old. 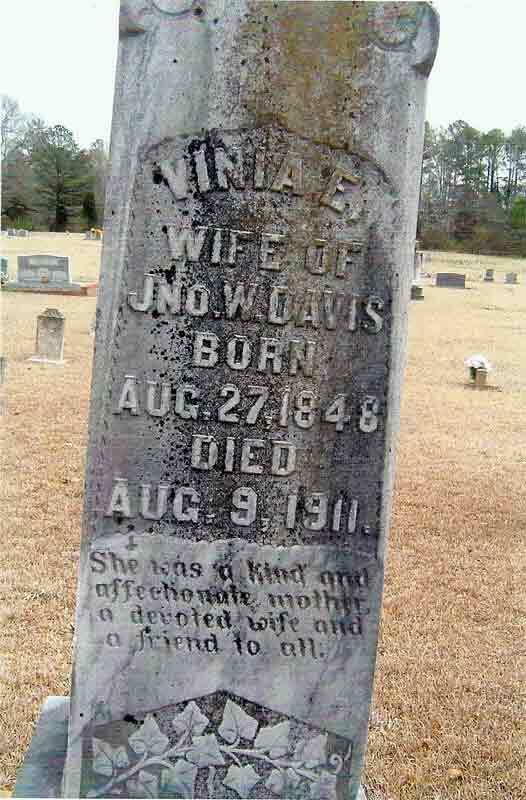 She was called "Vinia" . 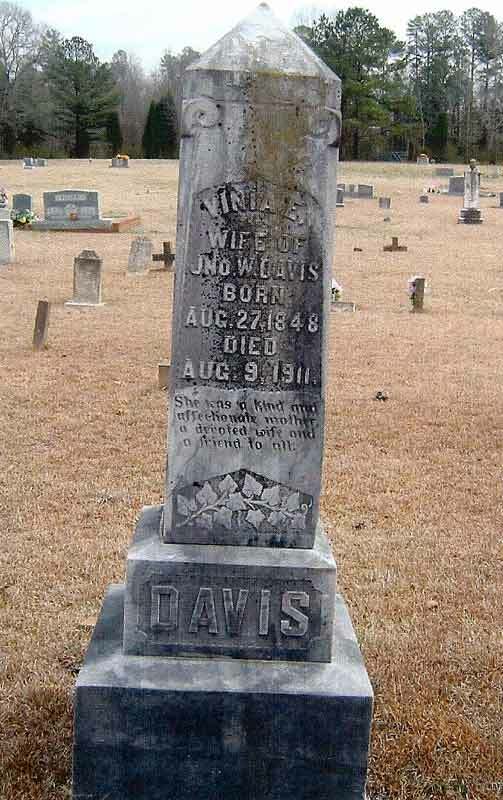 She married John W. Davis in St. Cair,AL on Sept. 26,1867 at her family home. They owned a farm in Trout Creek. Marriage of John W. Davis to Vina E. Phillips at the house of T. Phillips. Dewlling #187, family# 185 - John W. Davis (age 34), Veny E. Davis (31), Charly G. Davis (11), John W. Davis (10), Thoms P. Davis (7), George A. Davis (5)& Birtha E. Davis (1). John is a farmer and was born in GA, parents in SC. Veny keeps house, she was born in AL, as were her parents. Children born in AL. 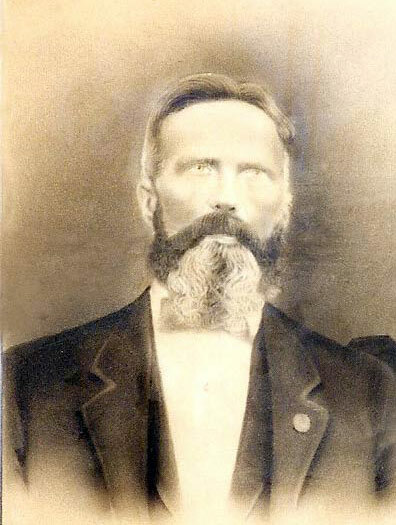 dwelling: 73, family: 74 - John W. Davis (age58-Mar.1842), Viney E. Davis (51-Aug.1848), Willie J. Davis (30-Jan.1870), George W. Davis (24-Feb.1876), Birthy E. Davis (21-Feb.1879), Henry N. Davis (17-June 1882), Absaham N. Davis (16-Feb. 1884), Lawance B. Davis (13-Mar. 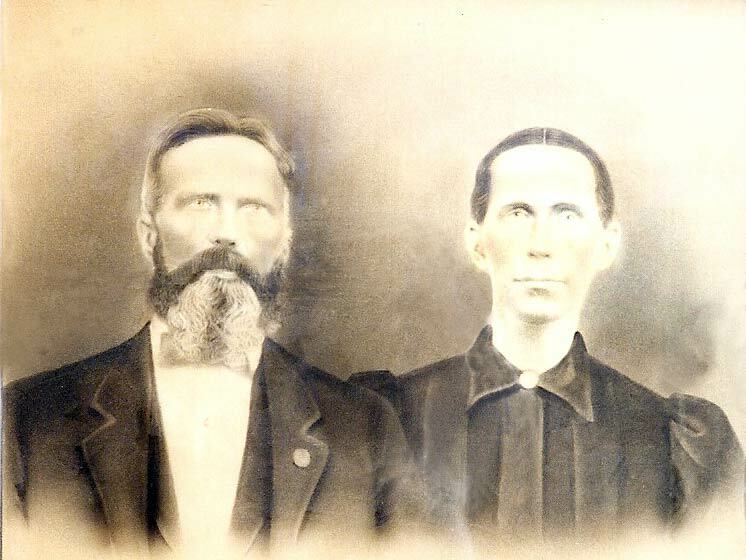 1887), Johnie Davis (11-Aug.1888),Wiliam Davis (8-June 1892)& Colbern Hathcook (15-June 1885) John is a farmer, he was born in GA, as were his parents. Viney was born in AL, her parents in SC. They have been married 33 years and had 12 children, 10 of them are living. All others born in AL. George & Birthy work on the farm. Henry & Lawance work at the Coal mine. Colbern is a border and works on the farm. All state they can read & write except Wiliam. Sons live next door - # 72 -Charly & wife Lizza; # 75 Timmie & wife Mattie (and their families). 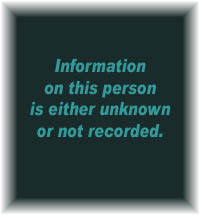 Click on any of the News, Events, or Discoveries buttons above to see historical things that happened during Melvina Phillips's life. These are only some of the major events that affected the life and times of Melvina, her family, and friends. For example, Melvina is 7 years old when Third Seminole Indian War begins. It ends three years later when Chief Billy Bowlegs and his band are forced to move from Florida.